As your son reaches four years old, you’ll notice a lot of interesting changes. 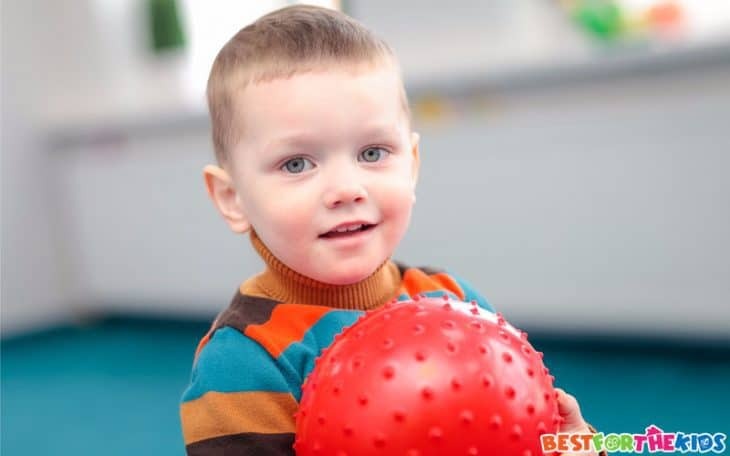 He will become more independent, reaching a level of confidence in himself that suggests that he doesn’t always need mom’s permission to do things. This can lead to some troublesome behavior, so you must keep an eye on him. You’ll also notice a greater degree of creativity and imagination. Your son’s imagination means he gets more out of his toys, so toys that make him think go a long way. He can also speak clearly, develop his own thoughts, and may have picked up the basics of counting and the alphabet. If you choose the right toys, you’ll help your son develop his mind, and stay on course with his physical development. In my opinion, toys that stimulate the mind assume greater importance at this stage in your son’s life. That doesn’t mean that you shouldn’t buy toys that get him up and about though. After chatting with some other parents, I’ve made a list of 20 great toys that I think your four-year-old will enjoy. ​13. Learning Resources Gears! Gears! Gears! ​19. Three-Letter Word Match It! This smartwatch offers your son the chance to imitate his parents, especially if you have a real smartwatch of your own. 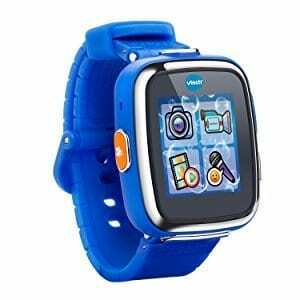 It features five games, three “action challenges”, and a motion sensor, all of which your son can activate using the watch’s screen. It’s a great learning tool too, as it features a calculator and 50 ways to show the time. Your son can use the watch to learn how to tell time in both digital and analog formats, as well as bolster his counting skills and learn basic addition and subtraction. You also receive a micro USB cable, which you can use to charge the watch, and upload pictures and videos onto it. While it’s splash-resistant, you can’t submerge it under water, so ensure your son doesn’t wear it during bath time. What’s Great About It - The watch teaches your son about basic modern technology, and features several learning tools. It also contains a few games, and you can get more from the VTech website if you create an account. This two-foot tall action figure gives your son plenty of things to explore as he plays. The Batbot has retractable wings, a pair of shoulder-mounted missile launchers, and movable arms. The fists on the end of each arm extend with the squeeze of a trigger when your son activates “battle mode”. It also comes with small Batman and motorcycle figurines, with Batman able to sit on and ride the bike. 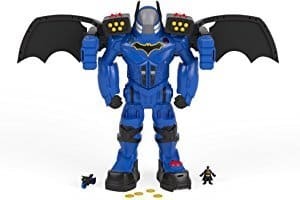 There’s also a hidden slot in the Batbot’s midsection where Batman can stand on an elevator. I really liked how this elevator actually takes the Batman figurine up to the cockpit in the Batbot’s head. I like the toy’s size, but it does mean that your son may struggle to carry it around. Drops could cause some of its moving parts to stop working, but it’s generally quite sturdy. I also liked the voice changing feature, which makes your son sound like Batman. What’s Great About It - This huge toy has a lot of little hidden features for your son to discover. It also spurs his imagination into action, especially if he enjoys the animated Batman television series. 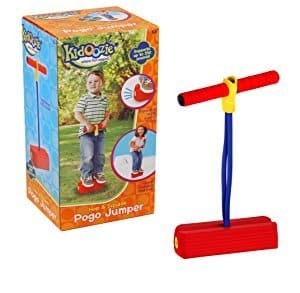 Possibly a great toy for keeping your son active, this foam pogo stick emphasizes safety. The strong handles feature textured foam for gripping, and the pogo is a foam block rather than the traditional stick. 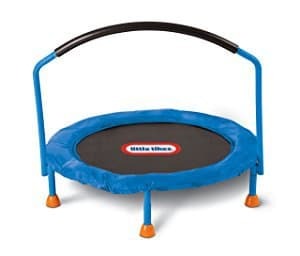 This gives your son a big surface to balance on as he bounces. The stick can hold a maximum weight of 250 pounds, so it will last for several years. The foam base also squeaks with each bounce. My favorite thing about this toy is that it gets your son active, but also helps him develop balance and coordination skills as he plays. With that being said, I’m not sure about the pole itself. It’s not very sturdy, and can bend in several directions. I don’t think it will break, but I’m also not sure that it offers as much stability as I would like. What’s Great About It - Your son will develop his leg and arm muscles as he plays. It’s safe to use on any surface, plus it helps with balance and coordination. A great toy for early learning, this teaches your son about counting and the alphabet. It shows a letter or number on its big screen, which your son traces using the attached stylus pen. There’s also a speaker, which says the displayed number or letter as he writes to teach him its pronunciation. It offers two levels of play, with the first being for kids who’ve never written before, while the second places higher focus on accuracy. I also like how you can use it to introduce your son to basic shapes. LeapFrog uses a cord to keep the stylus pen attached to the base unit, and it stretches enough for both left and right-handed kids. However, I did find that the cord doesn’t stretch as much as I’d like, plus it gets in the way when a left-handed boy writes with it. What’s Great About It - The two levels of play offer some longevity, plus it’s a great learning tool. I also like the stylus’ thickness, as it’s easy to grip for less dexterous hands. 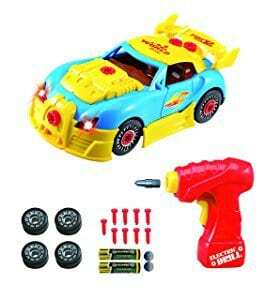 Another toy that encourages little builders, this comes with all of the parts needed to build a toy car, and a little plastic drill. All in all, there are 30 parts for your son to put together, after which he gets a car that he can use in other play. The drill is the standout for me, as it actually works. Your son pops the drill head in and then uses it to screw various parts together. It’s all made of plastic too, so there’s no danger involved, though the drill does require two AA batteries. I also like how the car plays realistic engine noises when your son finishes building it. Repeated play builds your son’s fine motor skills, plus it’s a great way for him to imitate you working on your car. What’s Great About It - Think of this toy as a puzzle that your son can play with when he’s finished. It lights up and plays engine noises, plus the drill actually works. This set of three dinosaurs comes in several parts, including torsos, legs, and heads. 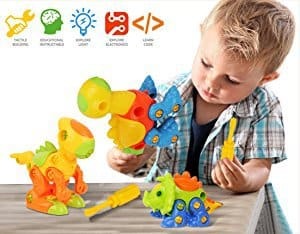 Using the included plastic screwdriver and screws, your son can put the dinosaurs together, developing his coordination and motor skills in the process. This may be a great toy for any parents who do a lot of work around the house and have a son who’s shown an interest in helping. It introduces him to the safe use of tools, and gives him a small project to work on. I like that you don’t need batteries, and the dinosaurs only need a quick wipe if they get dirty. They’re also made using very sturdy Bisphenol A (BPA)-free plastic. 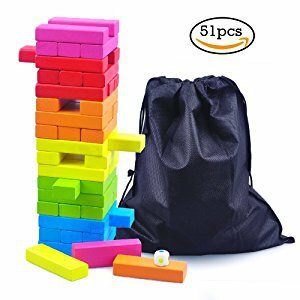 It does contain a lot of small parts, particularly the screws, so you will need to supervise play if your son doesn’t understand the dangers of choking hazards. 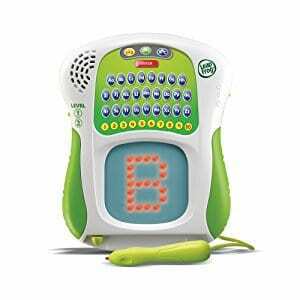 What’s Great About It - This toy gets your son thinking about the best ways to put all of the parts together, developing his fine motor skills and coordination in the process. I like this game because it offers a unique spin on the classic Jenga. It comes with 51 block pieces, which split between six different colors. Your son rolls a dice, which tells him which color block he has to remove from the stack. As a result, your son can’t always choose an easy option to keep the stack standing. It also makes the game more interesting for solo play, as your son essentially plays against the dice. Of course, it’s also great for social play. ​The game teaches dexterity, as your son needs a light touch to remove the pieces without toppling the stack. Meland uses strong wood for the pieces, which also have a non-toxic paint finish. I like the size of the pieces too, as they’re big enough for small hands to grab easily. What’s Great About It - The dice adds an extra layer of challenge to the game, making your son really think about which block to remove. It also develops fine coordination skills, plus I like the use of wood and non-toxic paints. 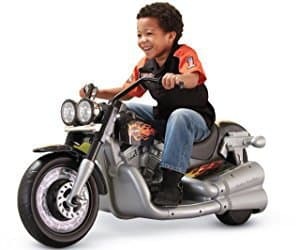 A step up from a trike, the power cruiser lets your son experience what it feels like to ride a real motorbike. It has two settings for forward motion, going from 2.5 mph to 5 mph. It also reverses at a maximum speed of 2.5 mph. The bike makes engine noises as your son rides, plus it features a “power boost” button to activate the higher speed. The tires are thick, and the base wide enough to help your son keep his balance. I’m also a fan of the bike’s traditional Harley Davidson decals. ​The bike impresses me due to its ability to ride just as well on grass as it does on hard surfaces. However, I’d recommend keeping it away from bumpy surfaces. Your son should also wear a helmet when riding, but you don’t receive one with the bike. What’s Great About It - The toy offers a sensation of speed without moving so fast as to put your son in danger. 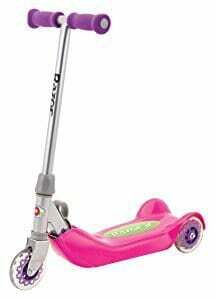 It’s built to last, has a wide base, and rides well on all flat surfaces. This set comes with 88 pieces, each made using maple wood to give the finished logs an authentic feel. I really like the creative aspect here, as every log fits neatly on top of the others. As a result, your son can build his cabin in any way that he chooses. It also comes with a plastic figurine, plus some plastic roof pieces to round out the cabin. Even if something breaks, the set comes with a parts guarantee. Just contact the manufacturer and they’ll send replacements. I couldn’t find out if the plastics contain BPAs, but over two-thirds of the wood comes from Forest Stewardship Council (FSC) trees. You could use this as an opportunity to teach your son about conservation while he develops his dexterity through play. What’s Great About It - As well as helping your son explore his creative side, the set develops his coordination and dexterity. I like how the pieces all slot together, as this means that you aren’t limited to a couple of designs. The real wood from FSC trees is a nice touch too. This kick scooter is a three-wheel design rather than the traditional two, which offers greater stability when in use. There’s also a wide base, so your son’s feet won’t slip as he rides. In fact, the polypropylene pad offers excellent grip. Razor has combined steel, aluminum, and plastic to build the scooter. This offers durability, while keeping it lightweight enough to easily pack up and take out with you. The handlebar also folds into the scooter, which helps with storage and portability. The handlebars come with foam grips, and the urethane wheels can tackle most surfaces. It doesn’t come with a helmet or pads though, so you’ll have to buy these separately. It’s also slightly top-heavy, which increases the chance of tipping until your son gets used to it. What’s Great About It - The scooter gets your son active, building his leg muscles, and improving his balancing skills in the process. It’s lightweight and foldable, plus I like the non-slip materials and the stability that comes from three wheels. Combining exercise with interactive games, the smart cycle keeps your son active even when he can’t go outside. It features pedals, which your son can use to activate the various games. You can also slide the seat up and down the middle bar, so it grows with your son. The bike has a tablet holder near the handlebars, which you can also connect to the TV using Bluetooth. It’s compatible with most tablets, and you can adjust the holder to keep the tablet secure. Fisher Price also offers several downloadable games and missions to encourage continued play. The steel frame means that the bike can withstand rough play, but it does add weight to the package. Make sure that your son knows not to pull at the bike, as it may fall and hurt him. With that in mind, the wide base should prevent this from happening. 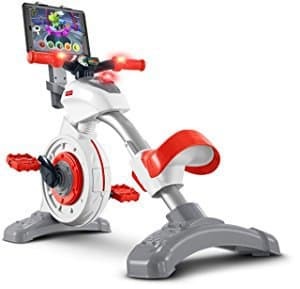 What’s Great About It - This toy makes riding a bike more fun thanks to the games and missions your son can play on the tablet. It builds his physical fitness. Furthermore, the steel frame and adjustable seat offer longevity. This sturdy trampoline has four stabilizing feet, and is quite low to the ground. Both features lower the risk of tipping over while in use. I also like the large balance bar, which your son uses to keep himself stable as he bounces. The maximum weight limit of 55 pounds makes it suitable for four-year-olds and slightly older kids. It also has a sizeable bouncing surface, so you don’t have to worry about your son hitting his foot on the frame. Of course, it also develops leg and arm muscles, while helping your son burn off any extra energy. The steel frame offers rigidity, but it’s also surprisingly light. While it’s too big to take in the car, you can move it around the house without much fuss. Unfortunately, it’s quite large and doesn’t fold up, so you’ll have to leave it out in the open. What’s Great About It - This may be one of the best toys for physical play indoors, as it develops muscles and burns energy while keeping your son in one place. It’s well-built so you don’t have to worry about damage from rigorous play. 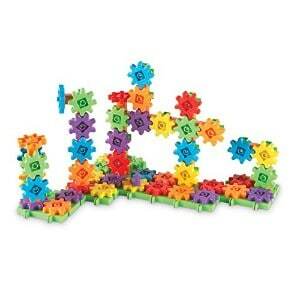 A good toy for introducing your son to STEM subjects, this set comes with 96 pieces. These include 48 gears, alongside some base plates, pillars, pillar extenders, and some axles. You also receive an activity booklet for your son to work through. While the booklet offers guidance, the key here is getting your son’s creative juices flowing. Once he understands how the gears and parts slot together, he can build his own creations. All the while he learns about basic physics thanks to the gears, plus his motor skills and coordination strengthen. I also like how the box comes with a handle, so you can use the box for storage and transporting the set. However, I would have preferred a sturdier box, as cardboard weakens over time. 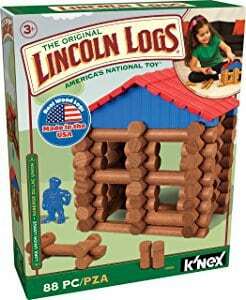 You can also buy several sets, so your son can build even larger structures. What’s Great About It - The gears teach basic physics, plus your son can get creative with what he builds. I also like the activity booklet, which offers enough information for your son to play with the set alone. 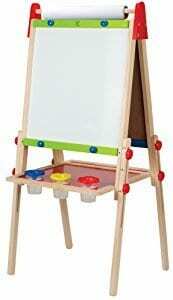 Another toy that encourages creativity, this easel has a blackboard on one side and a magnetic whiteboard on the other. There’s also a space on top to store a roll of paper, which your son can pull down whenever he wants to paint. It comes with a paper roll, which you can replace when it runs out, plus the easel has four screws to keep the paper in place while in use. I particularly like the little storage shelf underneath the easel, which also holds three color-coordinated pots for your son’s paints. He can dip his brush quickly, rather than having to go to a separate table or hold the paints himself. Hape also uses non-toxic materials throughout, while the wooden frame makes the easel durable. Unfortunately, it doesn’t come with any chalk, marker pens, or magnetic pieces. It also doesn’t fold flat, unless you remove the screws at the top and take it apart. What’s Great About It - The easel offers three surfaces, so your son can play with markers, chalk, and paints. It’s sturdy and outfitted with storage space and a magnetic white board. 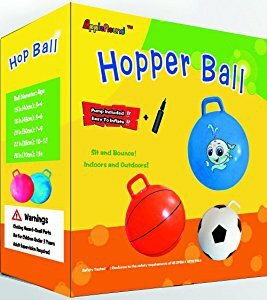 Available in five colors – including blue, pink, and black – these space hoppers stand 18 inches tall and have a thick, easy-to-grip handle. They’re free of phthalates and contain environmentally-friendly materials throughout. I particularly like the extras that come with it, which include a foot pump and an activity sheet. The pump allows you to keep the hopper inflated, while the sheet contains several exercises that target specific muscle groups. If your son follows these exercises, he’ll strengthen his core and the major and minor muscles in his arms and legs. It’s also great for developing his balancing abilities. Of course, there’s a risk of your son falling off as he bounces, so I wouldn’t use it on concrete or similar hard surfaces. What’s Great About It - This toy encourages physical activity, and your son can use it anywhere. The textured handle offers great grip, plus I like the use of non-toxic and environmentally-friendly materials. The pump and activity sheet are nice added extras. This set encourages your son to get out into nature and explore. 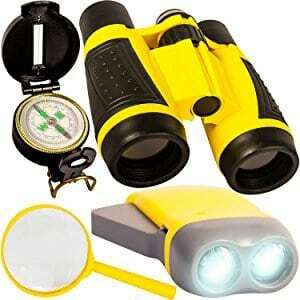 It comes with a set of binoculars, a compass, flashlight, and magnifying glass. I particularly like the magnifying glass, as it lets your son examine creepy crawlies up close. The binoculars have rubber eye pieces, which are soft enough to prevent your son from hurting himself when he uses them. The set also comes with a carry case, plus a neck strap and tabs for attaching to his belt buckle. I also like how the flashlight works with a hand crank, so you don’t need batteries to power it. Unfortunately, the build quality in some areas isn’t great. The compass, in particular, may break easily when dropped, as may the magnifying glass. What’s Great About It - The set offers good value for money, and you can use it to teach your son about map reading and basic outdoor play. Young bird and bug watchers will enjoy the magnifying glass and binoculars, plus it comes with a carry case. A game that combines water play with the strategy of a board game, Soggy Doggy may help you to coax a rebellious youngster into the bathtub. The game comes with a dog in a bathtub, with kids taking turns washing the dog. After a set amount of time, the dog shakes itself dry, soaking your son or one of his friends in the process. It also comes with a board, four player pieces, a die, and a set of tokens, which kids use to play. It’s easy to clean too. When playtime finishes, use a towel to dry the dog and let the waterproof board air dry. What’s Great About It - This may be a good toy for introducing your son to board games, while keeping increasingly independent kids interested in taking baths. You can also clean the waterproof pieces very easily. A good toy for keeping your son active and introducing him to basketball, this set comes with a ball and an oversized hoop. You can adjust it through six heights too. It has a minimum height of two feet and a maximum height of four feet. This means that the hoop is great for your four-year-old to share with any younger siblings or friends. He can even take control and teach them the game after lowering the hoop’s height. It’s all made of lightweight plastic, which lowers the risk of your son getting hurt if it falls over. I think it’s best to fill the base with sand to keep it secure, but you don’t receive any with the hoop. It also doesn’t keep count when your son scores. What’s Great About It - The low weight makes it easy to move the hoop around. 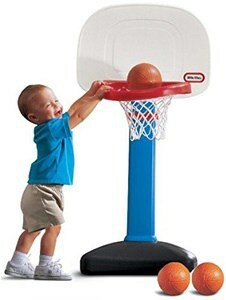 The junior basketball works well for small hands, plus I like that you can adjust the height. This game combines basic spelling with simple jigsaw puzzles. 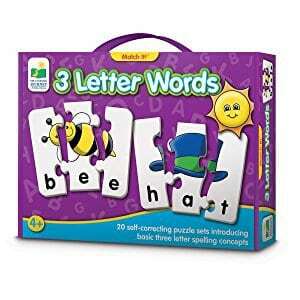 Your son receives 20 puzzle sets, each of which has three pieces to form a three-letter word. He must put the pieces together to find the right spelling. Each set features a bold image that represents the word in question. This helps your son associate the object with the word, ensuring he doesn’t try to force pieces together if they don’t fit. I like how you can use the set to teach basic spelling and expand your son’s vocabulary. The only potential issue I found was that there’s not much you can do if you lose a piece. A lost piece makes that set unplayable, though there are enough sets included to make up for this. What’s Great About It - The combination of puzzles and spelling impressed me, as this challenges your son to develop several skills. Also, none of the pieces fit into an incorrect word set, which makes it easier to learn how to play. With this set, Play-Doh combines the creative elements it’s known for with modern technology. Your son can build models using the Play-Doh, then bring them to life and have them explore virtual worlds using the action stamper accessory and a tablet computer. The set comes with 15 cutters, four modeling tools, and five each of character and digital action stampers. You also receive seven cans of Play-Doh, and can buy more if needed. Better yet, your son isn’t limited to the character stamps that come with the set. He can create anything and scan it into the app. However, your son will need to understand how to use a tablet computer to get the most out of it. 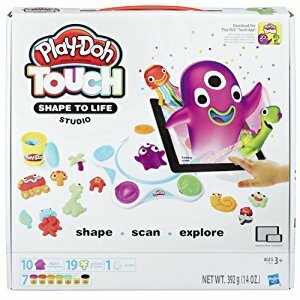 What’s Great About It - I like how this set adds an interactive element to Play-Doh, as this gives your son more to do with his models once he builds them. There are also plenty of tools to get novices started. Your four-year old has developed into a more independent person, which means he’s choosier with his toys. Try to get a feel for what he enjoys before buying a toy, as this lowers the risk of him playing with it once and discarding it. As with most toys for children in the toddler/pre-school age range, anything that teaches your son something new works well. However, your son’s imagination develops at a faster rate once he reaches the age of four. As a result, creative toys come to the fore, as do toys that he can combine with other toys to create his own little worlds. I think a toy for a four-year-old boy should have at least one of the following. Your son’s muscles and motor skills are still developing at four years old. He’s also learning more about balance and coordination. As a result, any toys that get him active and develop his existing skills work well. Your son’s toys will hold his attention for longer at this age – as long as the toy interests him in the first place. Basic board games and puzzles can do this, with the former keeping things particularly interesting because of how they change with each play. Board games also let your son share his playtime with others. Plus, they introduce a healthy competitive element. You can start teaching your son about the difference between winning and losing with such toys. Your son likely won’t be limited by what the toy specifies when he hits four years old. His imagination runs wild, and he gets creative with how he plays. For example, he might decide to use action figures as playing pieces on a board game. I think toys that encourage your son’s creativity will work wonders. Anything that he can combine with other toys to create his own scenarios are also good choices. You must ask yourself some questions before buying a toy for a four-year-old. Ask yourself if he needs something to encourage exercise, or a toy that stimulates his mind. Anything that prepares him for school is also a bonus. Your son’s toys help him develop in all aspects. They challenge his intelligence, creativity, and physical attributes. I think that the best toys keep your son active and encourage his developing imagination. If a toy meets the criteria I’ve outlined above, your four-year-old will probably enjoy it. My list of 20 toys is a good starting point, and I’m sure you’ll find a toy that your son will latch onto.